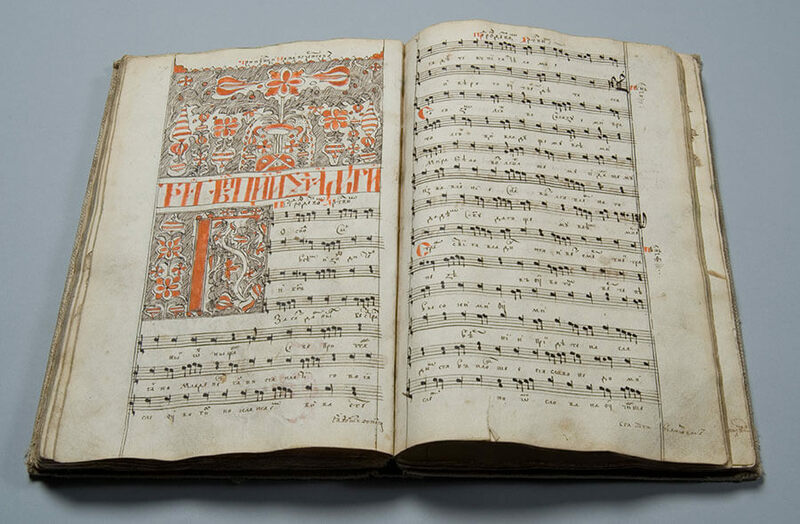 This Irmologion – a Church Songbook used in Eastern Orthodox and Eastern Catholic Churches which follow the Byzantine Rite is one of the oldest (1733) books in Oseredok’s rare book collection. It contains the text of irmosy, short hymns that introduce Biblical canticles or songs of praise during morning church services and during more important services throughout the liturgical year. The earliest Irmologia were collected and compiled in Byzantium during the tenth century and were reproduced in manuscript form for centuries. The first printed Irmologion was published in Lviv in 1700, although manuscript copies continued to be produced throughout the 18th century.